The themes range from the poetry of Nobel Laureate Rabindranath Tagore to Prehistory, from Panchatantra to the ancient art of block printing! From literacy to math, prehistory, science, technology, engineering and art. All the materials required to do the activity will be in the box! United States, United Kingdom, Australia, Singapore & Canada! 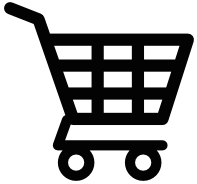 Subscriptions are open for the APRIL boxes! 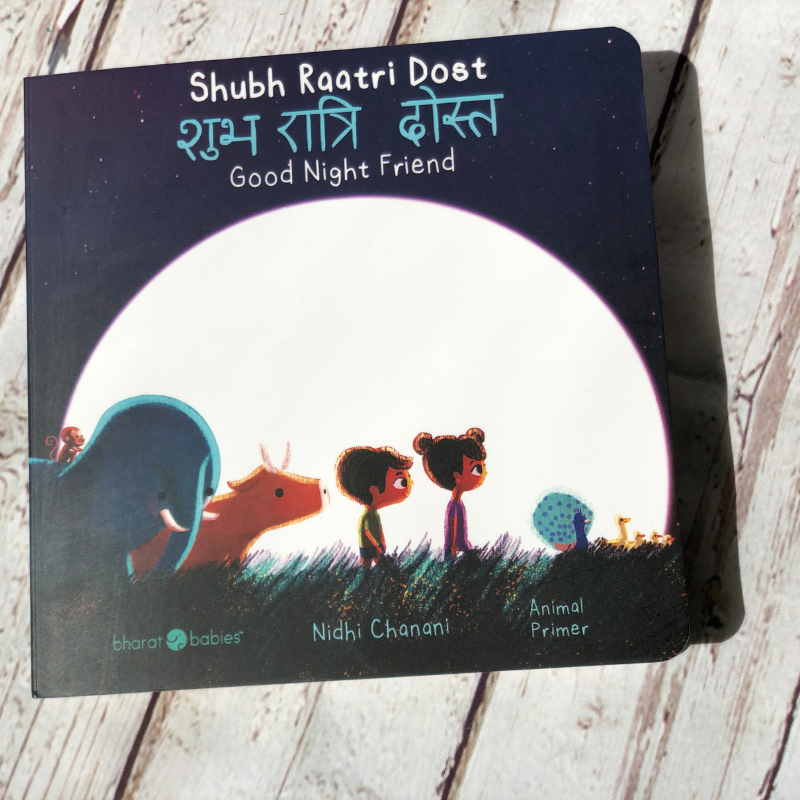 A sweet sleep tale that builds Hindi and English vocabulary! 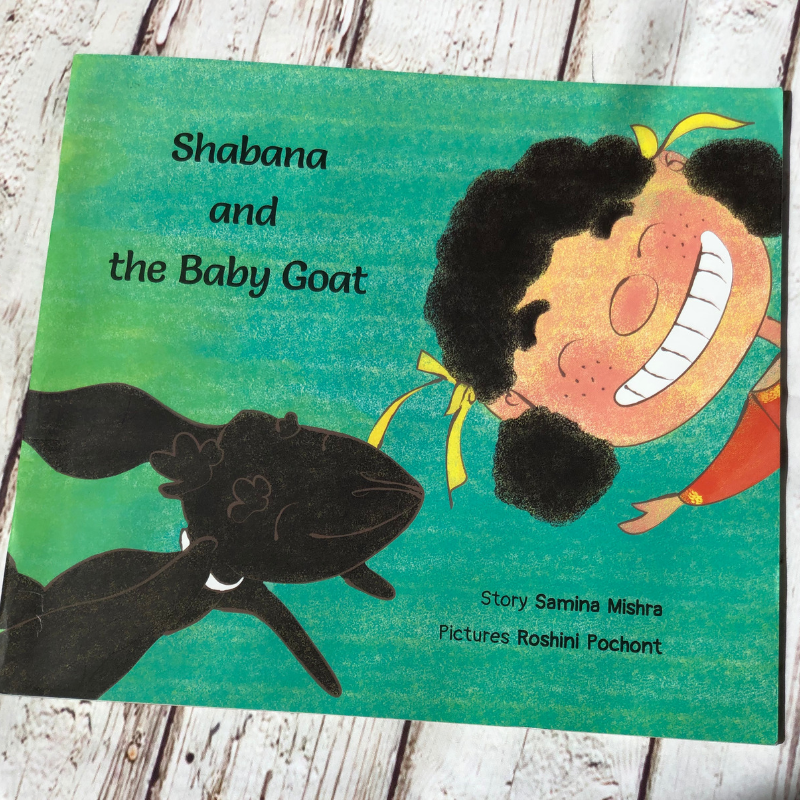 Shabana's baby goat Kajri is always getting into trouble! Can Shabana save the day? Skill in the box: Science is Fun! 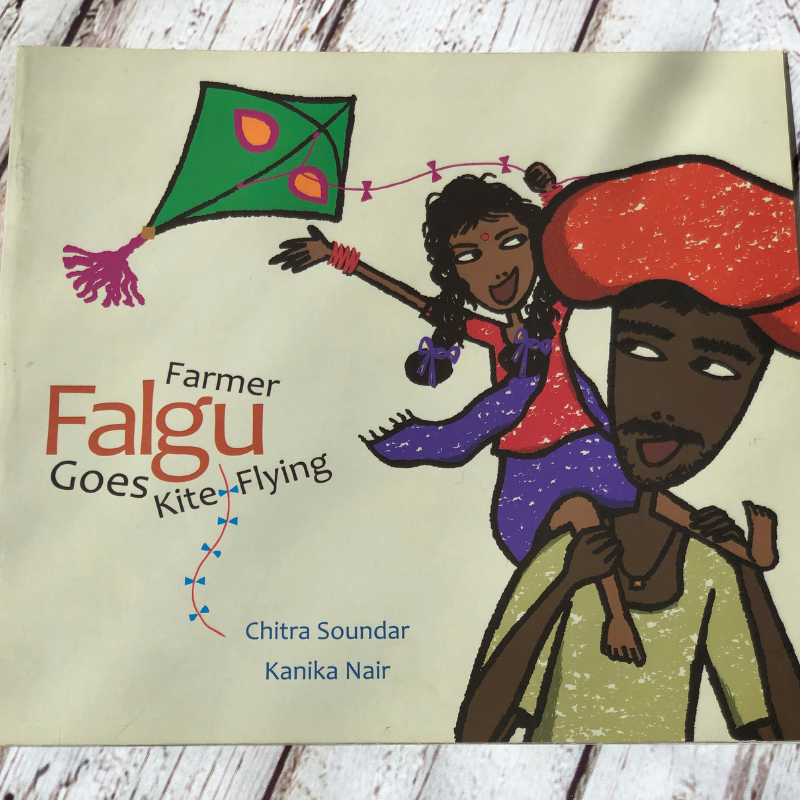 When Farmer Falgu's daughter Eila loses her kite to strong winds, can Farmer Falgu build a new one to make Eila happpy? Skill in the box: Engineering is Fun! Every box you buy sends a book to an underprivileged school in India! A Book For a Box! 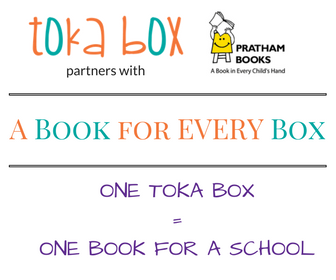 Toka Box teams up with Pratham Books to send a box of 100 books to a school library in India, for every 100 boxes shipped! Your subscription now has a added benefit of making a difference in a child's life!